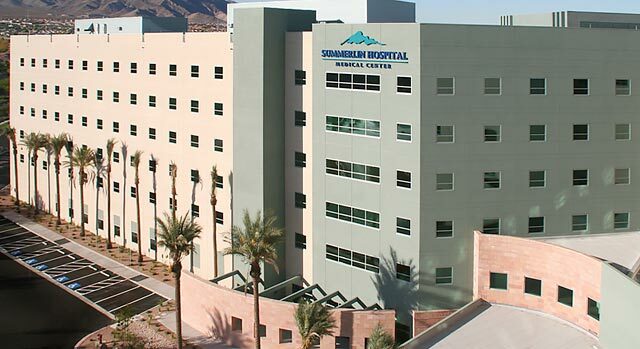 Since 1997, Summerlin Hospital, a 485-bed, Joint Commission accredited hospital, has been providing quality healthcare to the residents of Summerlin and the Las Vegas area. Located in a premier master-planned community, Summerlin Hospital is one of the most comprehensive healthcare facilities in southern Nevada. Among the specialty services offered are The Heart Center, The Robotic Surgery Center, The Birthplace, The Children’s Medical Center, The Cancer Center, The Breast Care Center and The Rehab Center for acute rehabilitation care. Summerlin Hospital is accredited as a Chest Pain Center and a Primary Stroke Center for the rapid diagnosis, intervention and treatment of heart attacks and strokes. Among the outpatient services available are cardiac rehabilitation, physical and occupational therapy for adults, physical, occupational and speech therapy for children and a wound healing center with hyperbaric oxygen therapy. Laboratory, radiology and surgery services are also available as outpatient services. 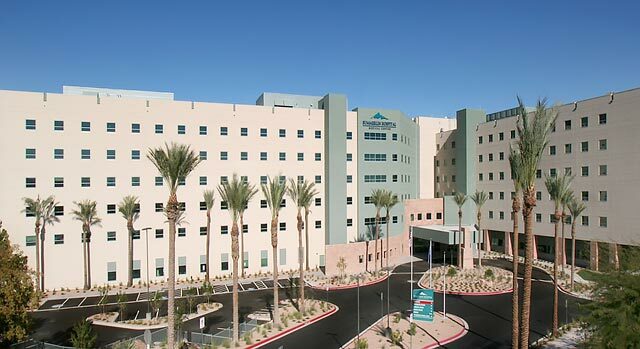 Summerlin Hospital Medical Center is accredited by The Joint Commission, is licensed by the state of Nevada's Department of Health and is a member of the American Hospital Association, the Federation of American Hospitals, the Association of Western Hospitals and the Nevada Hospital Association. To provide exceptional quality patient care in a safe and compassionate environment that provides a positive healing experience for patients and their families. Our care will be guided by the principles of respect, dignity, empathy and the emotional well-being of our patients. Core Value: Patients and families are our purpose. For additional information on any of the services available at Summerlin Hospital Medical Center, please call us at 702-233-7000. Learn more about the comprehensive care available at Summerlin Hospital Medical Center and the other hospitals in the Valley Health System. The latest Centers for Medicare and Medicaid Services (CMS) star rating for Summerlin Hospital Medical Center is one star.